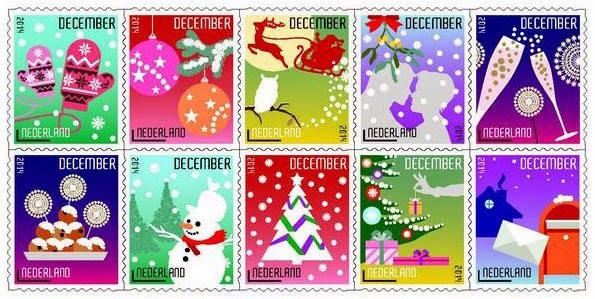 Hello, how nice to receive this image above of some Christmas stamps from The Netherlands. I do hope you enjoy seeing these as much as I did. Thanks to one of my regular readers who will be receiving my customer Christmas present very soon. Hello, welcome to another week. A week closer to Christmas. what? some 40 days now I think. I bet you haven't bought yourself a Christmas present yet? Have you? I have .. and I even have a few more to buy myself. Yes stamps, oh and a lovely fountain pen I saw yesterday. It was hard but I resisted, maybe next weekend. Anyway, for your Christmas present you can find some excellent material in my Bidstart Store click and type Edward in the Search for field, and don't forget, you are likely to get my Customer Christmas present as well, for free. Last nights customer had his mailed today. I finally made some time to load a few GB Edward VII. More to come in coming days. 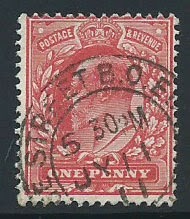 The above is SG 273, Deep Rose Red with a lovely cancel, I think you will agree. Hello, How is your weekend going? Good I hope. 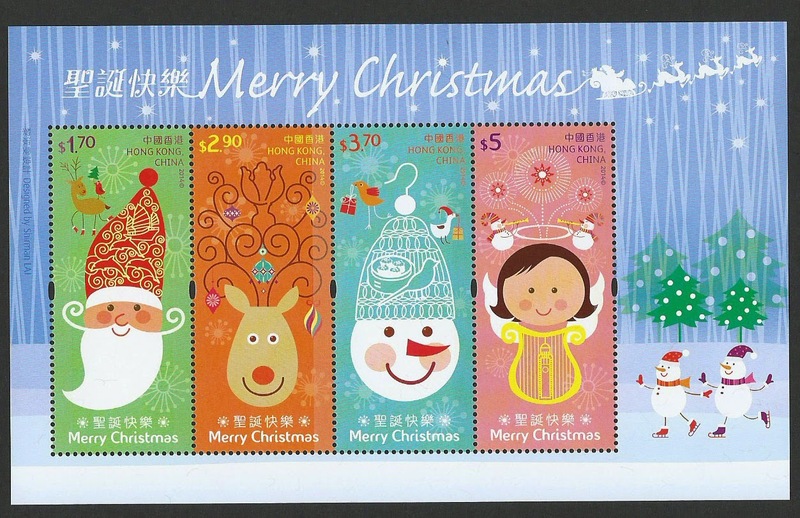 Finally got my Hong Kong Christmas stamps. What do you think of this Miniature Sheet? 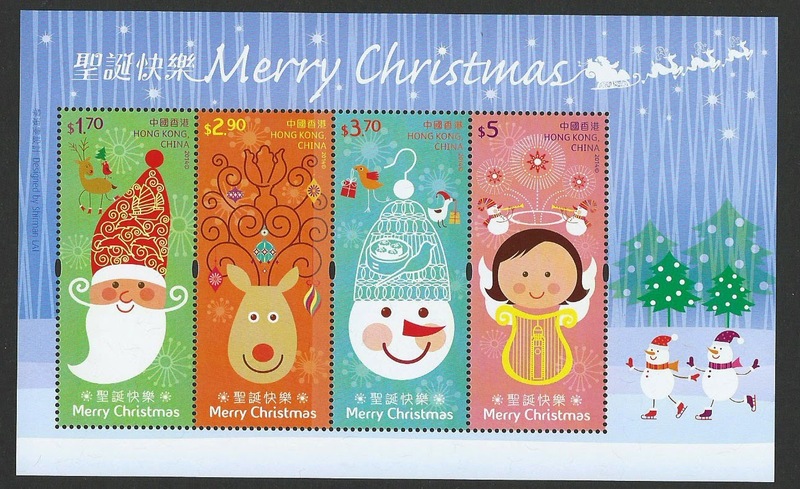 Anyone got a favourite Christmas stamp they have seen? Write to me with image of the stamp(s) and For the first 12 emails - 12 days of Christmas :-) - with images I will send you my cddstamps customer Christmas present as a little Christmas gift from me to you. Please include your mailing address. TGIF. It feels so good doesn't it. And how have I just spent 2 hours...... reading about and looking at stamps. Actually more Hong Kong and that is why I am showing this one. I cannot find it in my catalogue. So time to ask the readers. What is it? SG number please? Value in whatever catalogue you might have. Hope you like seeing it. 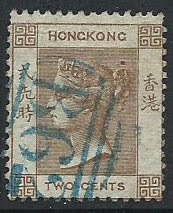 This week I have been listing Hong Kong in the Bidstart Store and I really enjoyed seeing the stock I have. 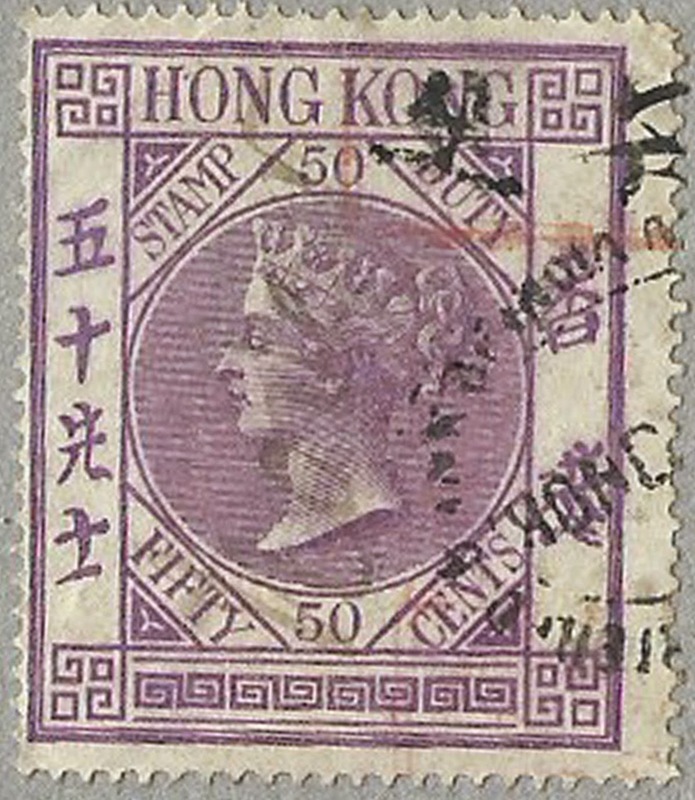 Useful selection of QV from QV SG 1 through SG 53. If that doesn't tease you to have a look and see if you can fill a few gaps in your collection perhaps looking at the early QEII varieties I listed will. If neither then just enjoy seeing these stamps above. I checked some prices against a well know auction site and while some of my prices are higher I think the quality is better. Also don't forget my customer Christmas present for all orders of US $15. See previous posts for details or just visit the website. I thought I had 11,000 lots for sales but am now, once again, somewhat under that. You do make me work hard hahahahaha I love it, as I hope you do the stamps you receive and the gaps you fill in your collection. I am looking to get 3000 sales by year end. With the Customer Christmas present offer I have maybe I will make it. Hello, how was your weekend? Good I hope and with time for stamps. I finished loading more of my Nyasaland stock to my Bidstart Store. It occurred to me perhaps I should look and see if other sellers have the same material listed. Always good to know your competition. 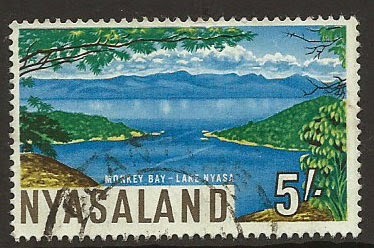 Interestingly, to me at least, I found no other copies from a stock of just over 2000 Nyasaland stamps, of many that I am listing. 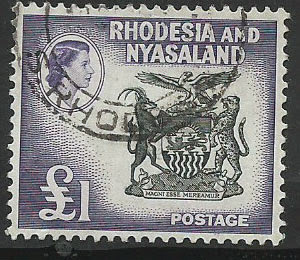 If you want to fill a gap in your collection of Nyasaland, or even others like Northern or Southern Rhodesia, or Rhodesia, then I think you will enjoy looking at my stock. 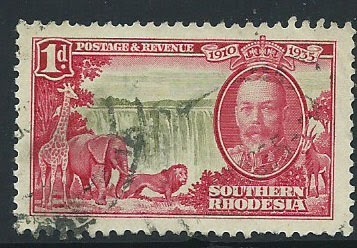 More Rhodesia in coming week I hope as I have more that I want to get listed for you. Prices always competitive and stamp quality is always well described. I really like these early issue from the Rhodeia period. Hope you enjoy seeing this one above, SG 208. Oh and don't forget, orders of $15 excluding postage get my customer Christmas present. Hello, welcome to the blog and another weekend. It has been a busy day, I wrote the IPDA ( Internet Philatelic Dealers Association) Newsletter and got that published. 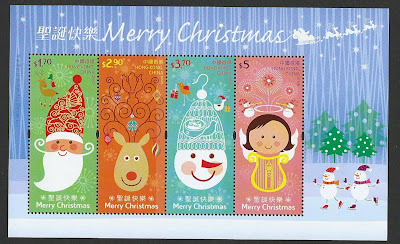 For a free copy just email me at michaelatipda@gmail.com or read about us on our website at www.ipdastamps.org. 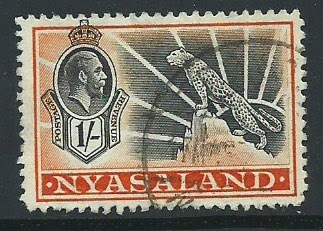 For stamps, I have loaded more to the Bidtstart Store many 1930 - 50's Nyasaland. Some good values there as well. These add to the Northern Rhodesia I loaded over the past two days. I am nearly back to 11,000 items in stock - plenty of sales again in the early part of this past week took me way down below 11,000. 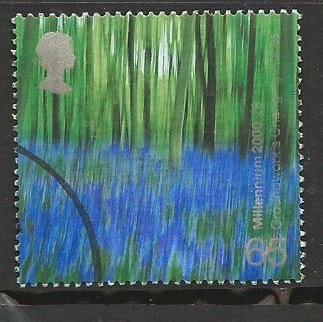 The above stamp is also one I loaded today. 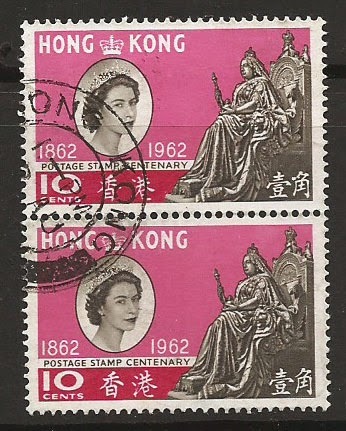 These higher value issues are hard to find postally used in such fine condition. SG 2155 with a catalogue of £2.50 (obviously I am offering it at nothing like that) Just visit the Store here and scroll down ( I will correct the page format problem one day) for the countries I stock. Not too many - a focused selection for the British Commonwealth collector really. Anyway, have a great weekend and I hope you have time to visit the Store, fill a few gaps in your collections and get a Christmas present from me as well.